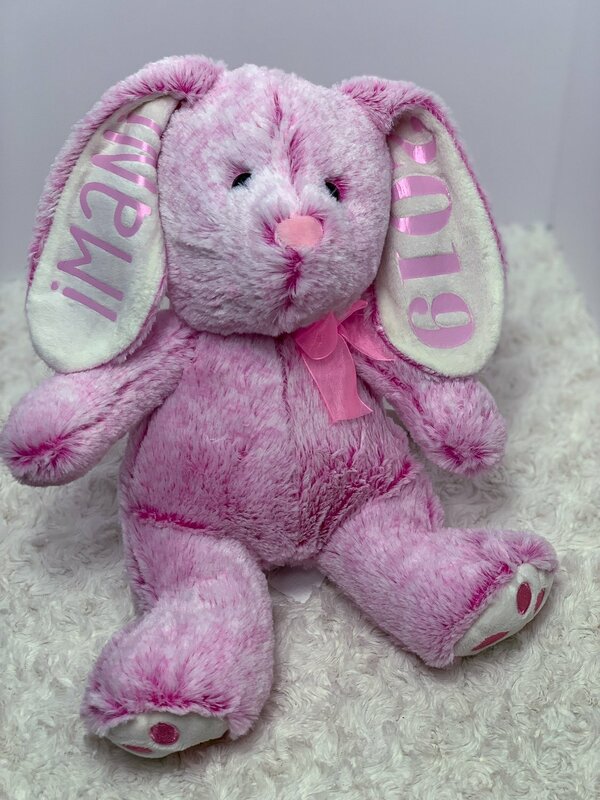 Are you looking for cut little things to add to the baby’s Easter basket? 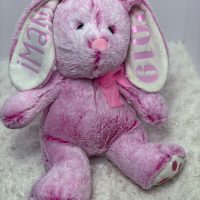 Check out how cute this stuffed animal is. This was a super easy Cricut craft and it only took about 10 minutes to do. 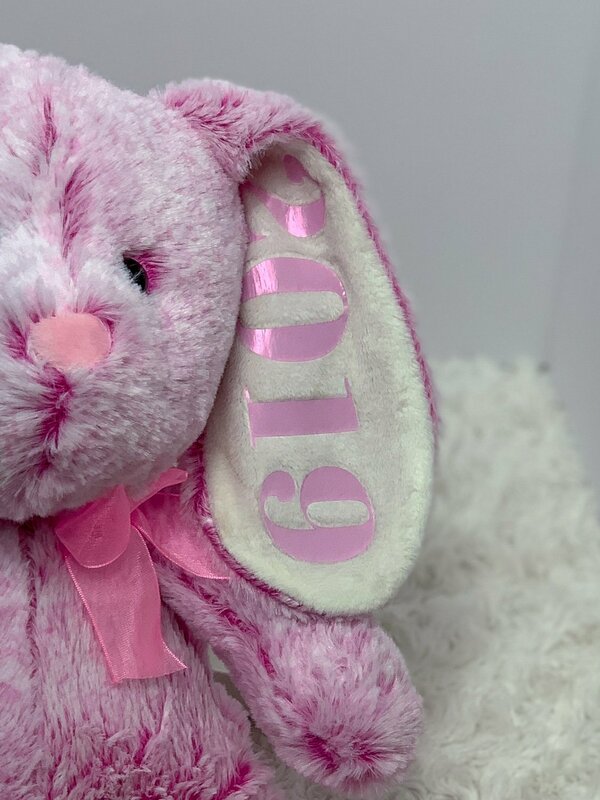 This stuffed Easter bunny has the child’s name and the current date and both were totally fun to do using Cricut Design Space. Whether you have a Cricut Maker or one of the older models this one is a great Cricut tutorial for beginners to learn about placing iron on vinyl. The Cricut Machine makes these already adorable plush toys even cuter. 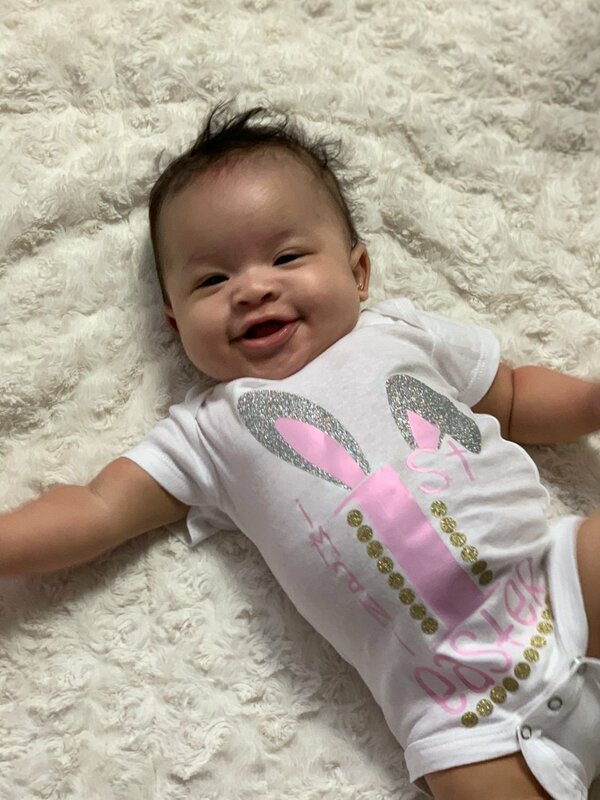 My cute little cousin was 5 months yesterday, and this will be her first Easter. I wanted to make her some things that I could also share with you guys. I love working with the Cricut and am planning some cool sewing tutorials using my new Cricut maker soon. For this Easter Bunny project, it only cost me about $7 to make. I used up some scrap vinyl and got this stuffed Easter bunny for $5.95, a steal for as cute as it is! These are perfect for all ages but will be extra special for the baby. I would love to see what other things you are making with your Cricut for Easter. 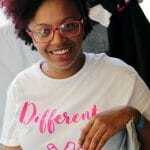 Make sure you join my group and share all your amazing Cricut Creations. Learn to make a super cute Easter Bunny Keepsake with this easy Cricut Tutorial. 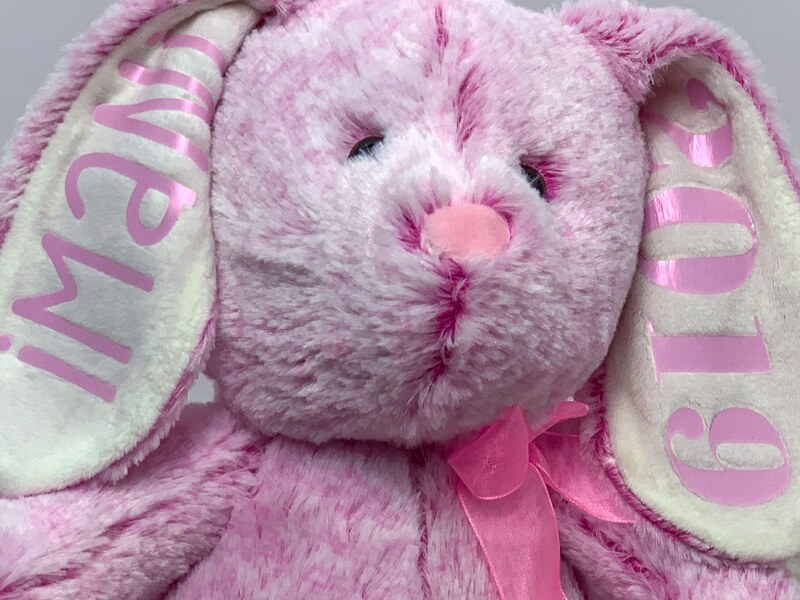 This stuffed easter bunny is a great addition to any baby’s Easter basket.